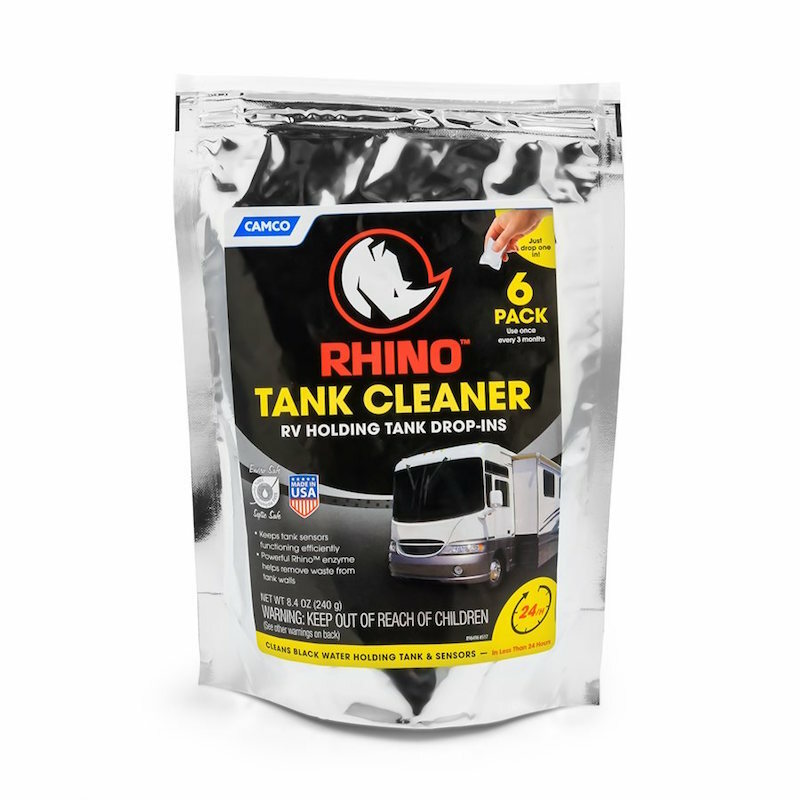 CAMCO RHINO HOLDING TANK CLEANER - 6 DROP-INS PER BAG. Camco’s Rhino Holding Tank Cleaner is a powerful enzyme that helps clean your holding tank and remove waste from tank walls in less than 24 hours. Simply flush one drop-in per 150 litres of holding tank capacity down your RV toilet and fill 3/4 of the way with water, then let the drop-in do the rest of the work. Regular cleaning of your holding tank helps sensors function efficiently and keep unwanted smells at bay. The easy to use drop-in is pre-measured and safe for septic tanks. For best results, use one drop-in every three months.